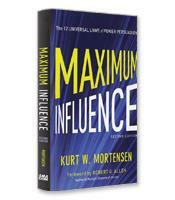 In Maximum Influence, author and renowned expert Kurt Mortensen reveals the 12 Laws of Persuasion, explaining why each law works, how to use it, and what to avoid. You will discover how to read anyone instantly, get people to trust you instinctively, change minds easily, and convince anyone to give you almost anything. 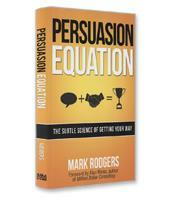 With new case studies and influencing techniques, this is the ultimate guide to the art and science of getting exactly what you want - when you want. 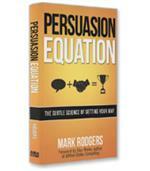 The 12 Laws of Persuasion and how they can be applied for Maximum Influence. 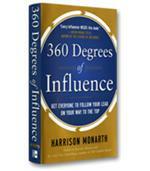 Four steps to use the Law of Dissonance to get your foot in the door. 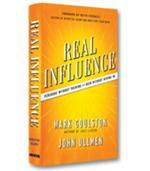 Learn how to use praise to release positive energy in all business and personal dealings. 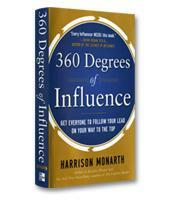 How to use the Law of Association to take advantage of association triggers to evoke positive feelings.